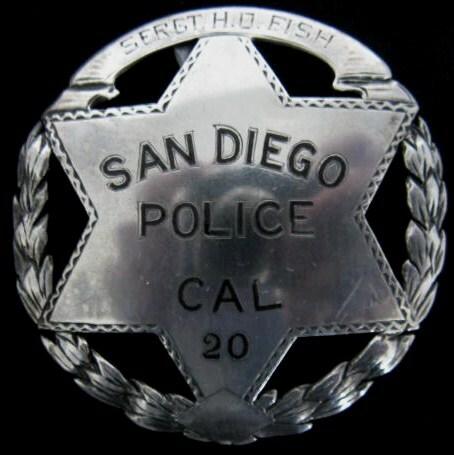 *Re-issued to Special Policemen during WWII era 1942 - 1945.
introduced. 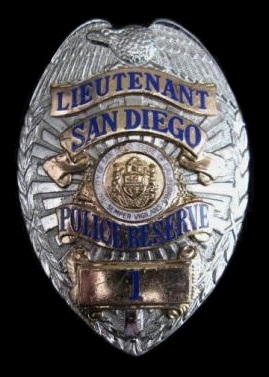 This badge was large enough to incorporate new ranks SDPD was ushering in. 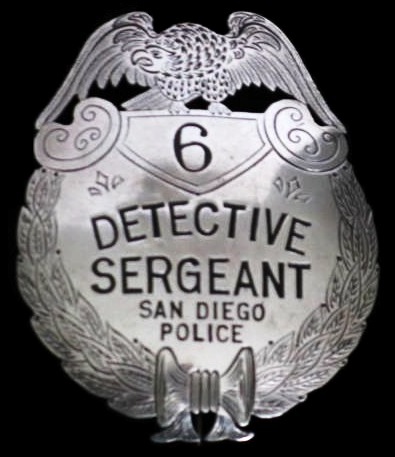 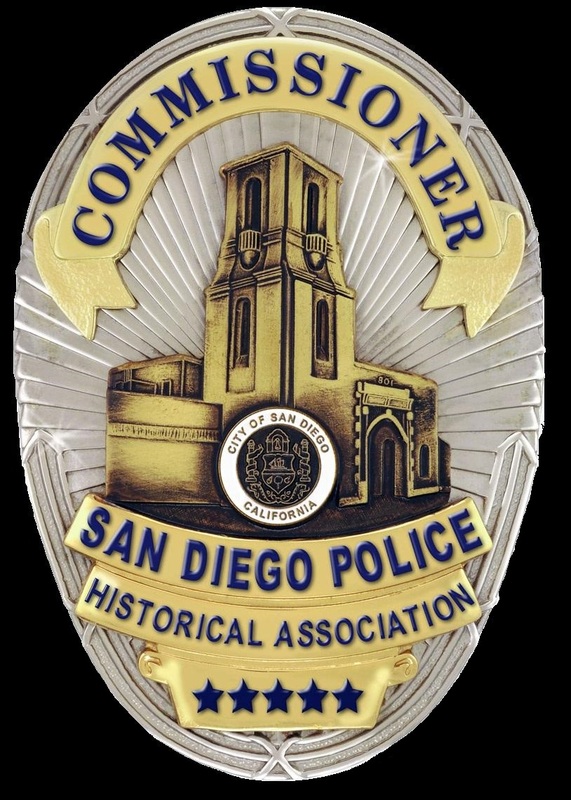 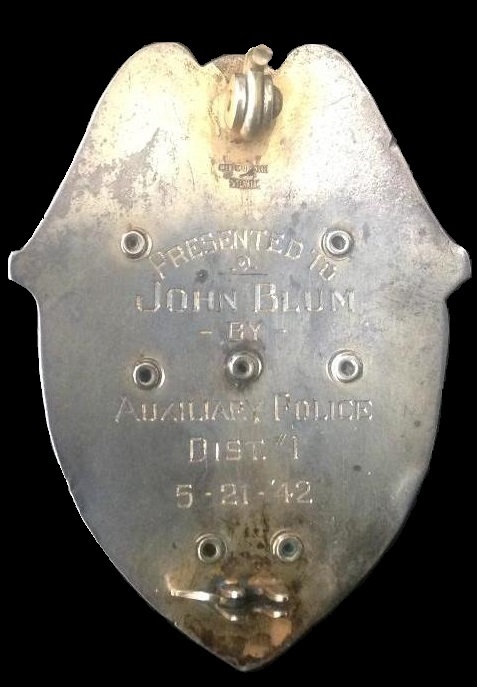 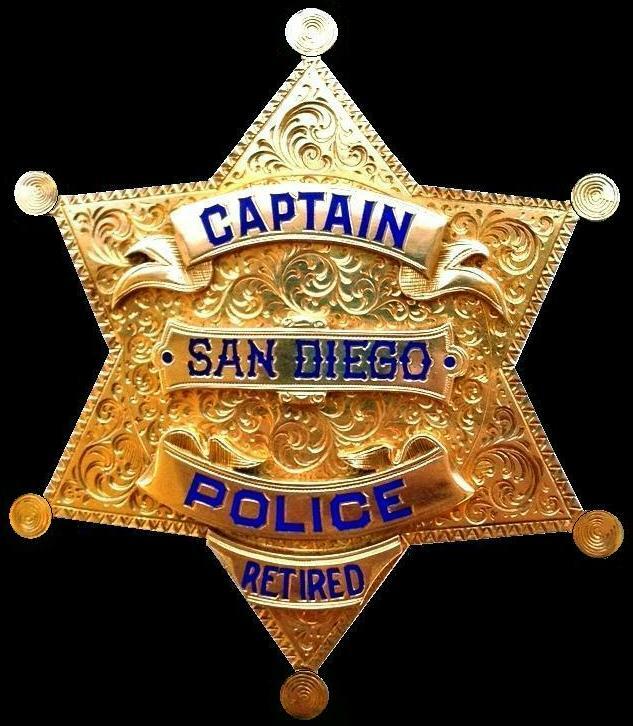 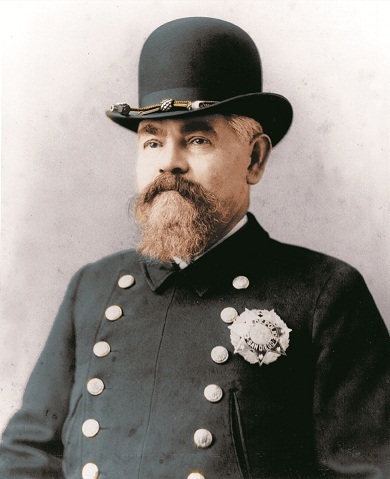 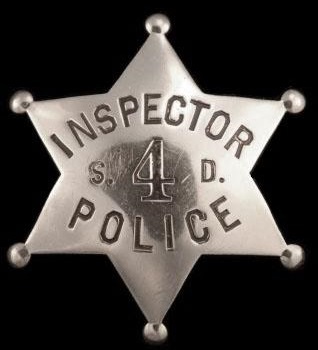 In 1915, SDPD adopted another badge, this time the shortest official (non commemorative) badge in its history – the copper clover. 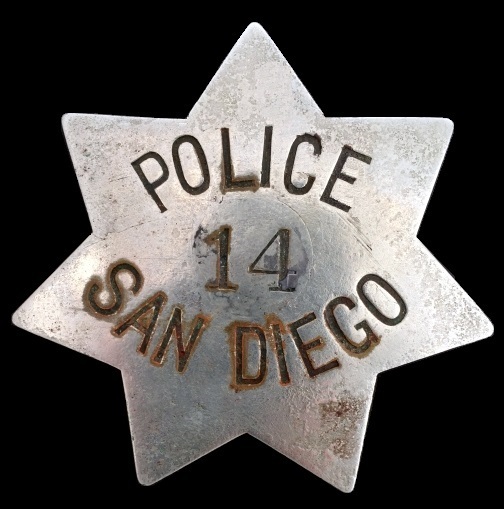 In 1917, a silver shield with a five point star cutout was introduced. 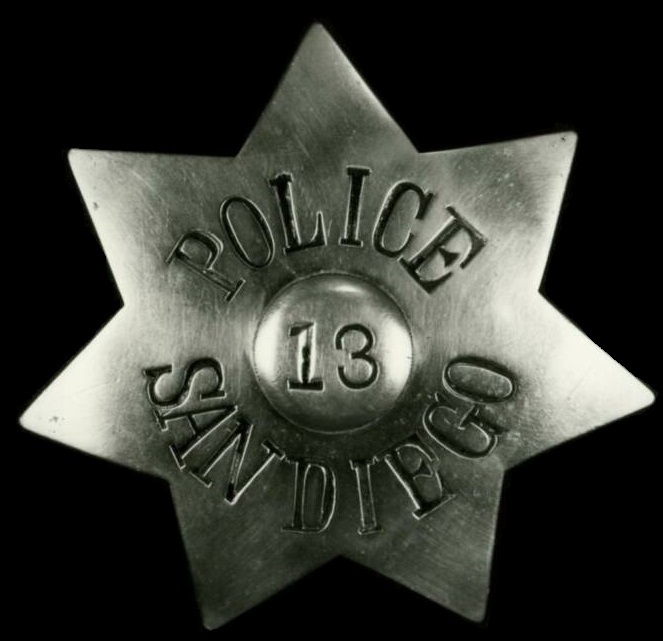 It was replaced in 1925 with a silver shield. 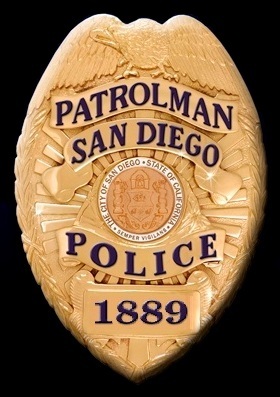 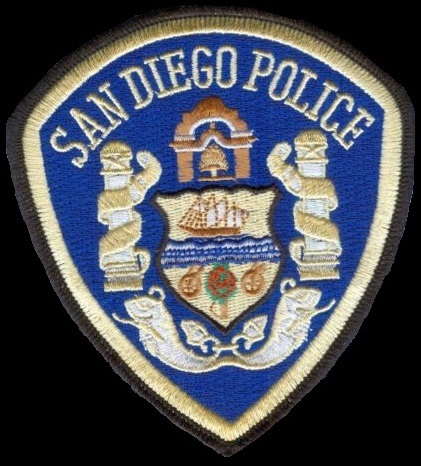 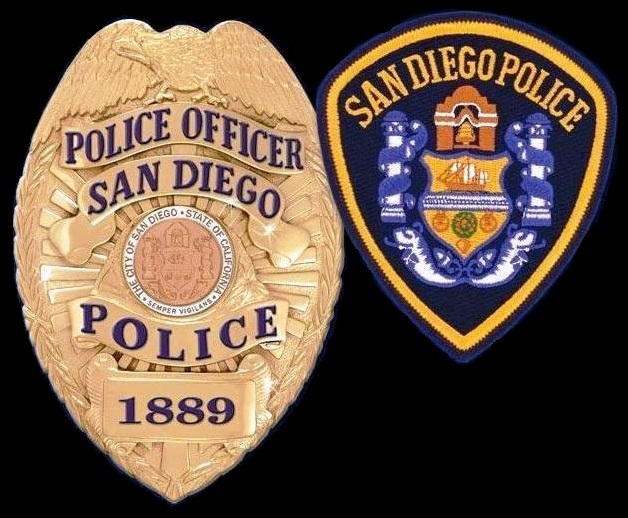 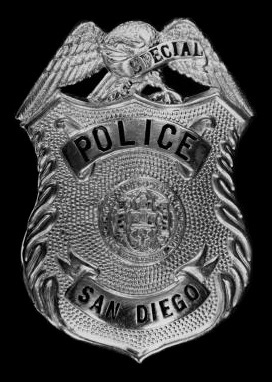 SDPD's current badge was adopted in 1930.In 2007, a new badge was introduced - this one to commemorate SDPD's May 1889 founding. 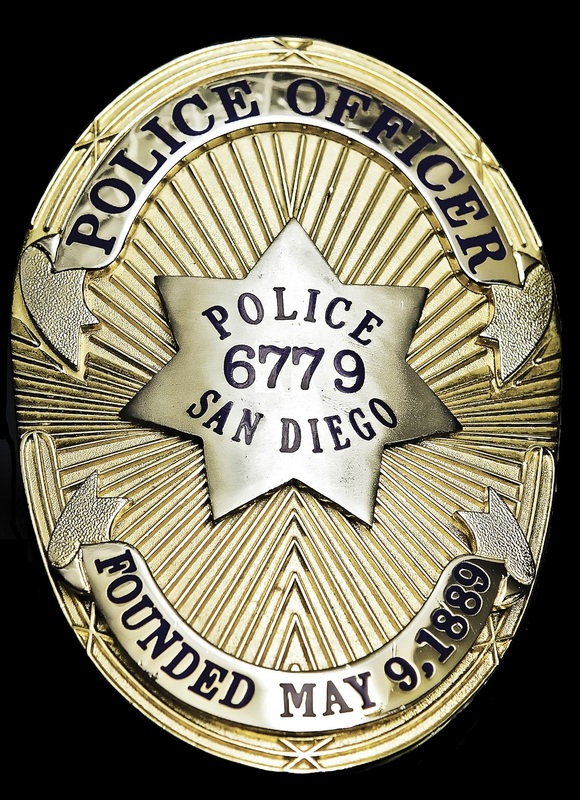 Per city ordinance, the badge is optional and can only be worn in the month of May. 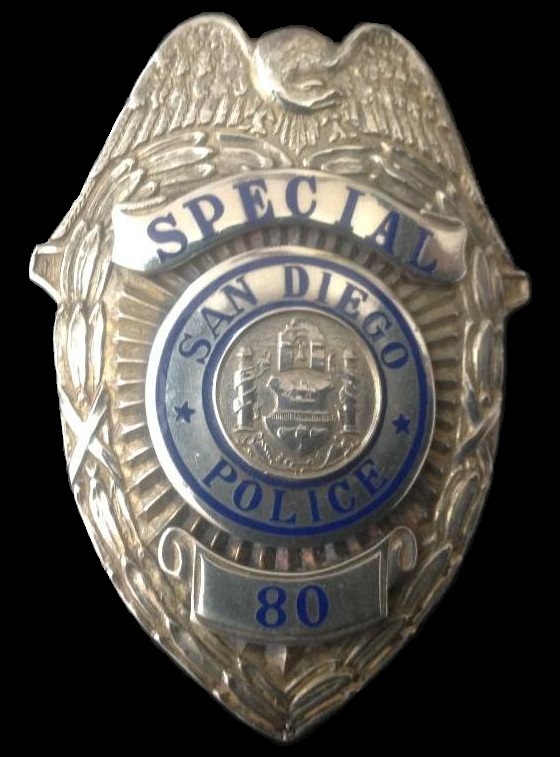 In 2011, the SDPD adopted a second optional badge - the America's First Responders UNITED. 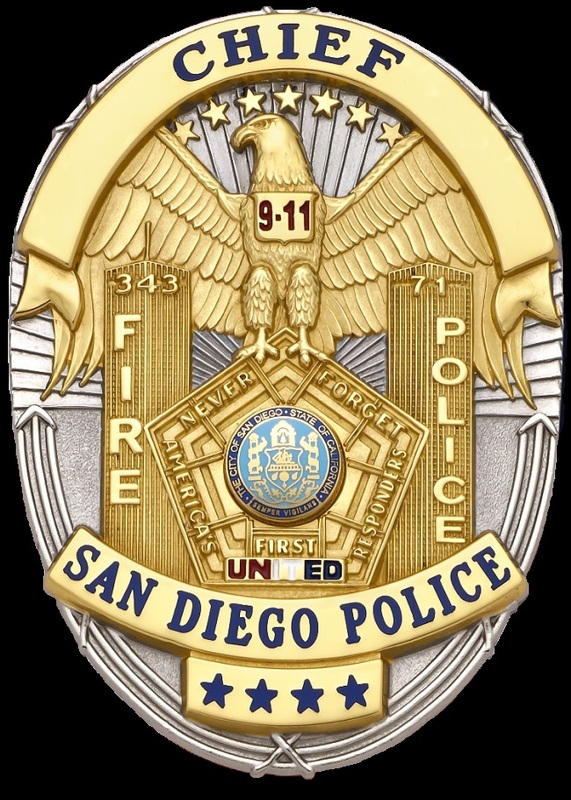 The badge may only be worn in the month of September as a commemoration of the 09/11/2011 attack on America. 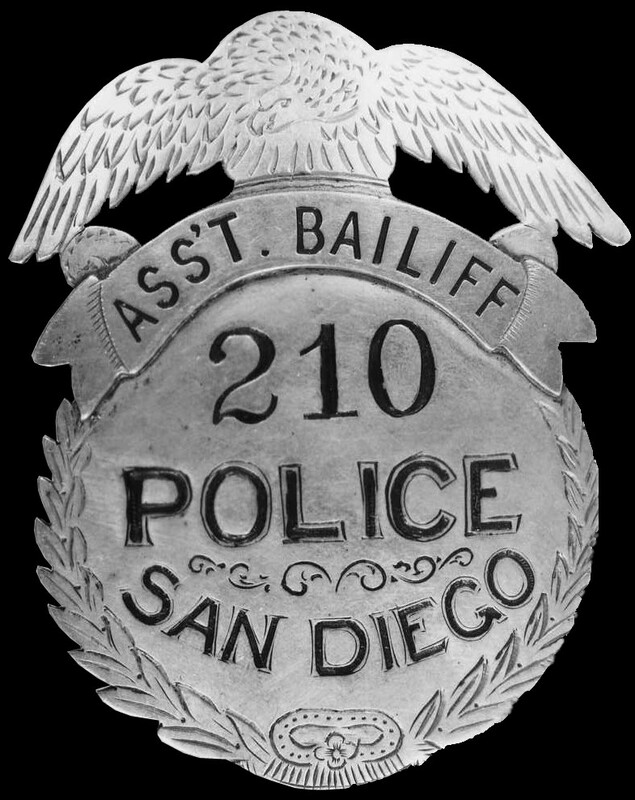 SDPD adopted its current shield in 1930 to emulate the 1923 Los Angeles Police Department Series V badge. 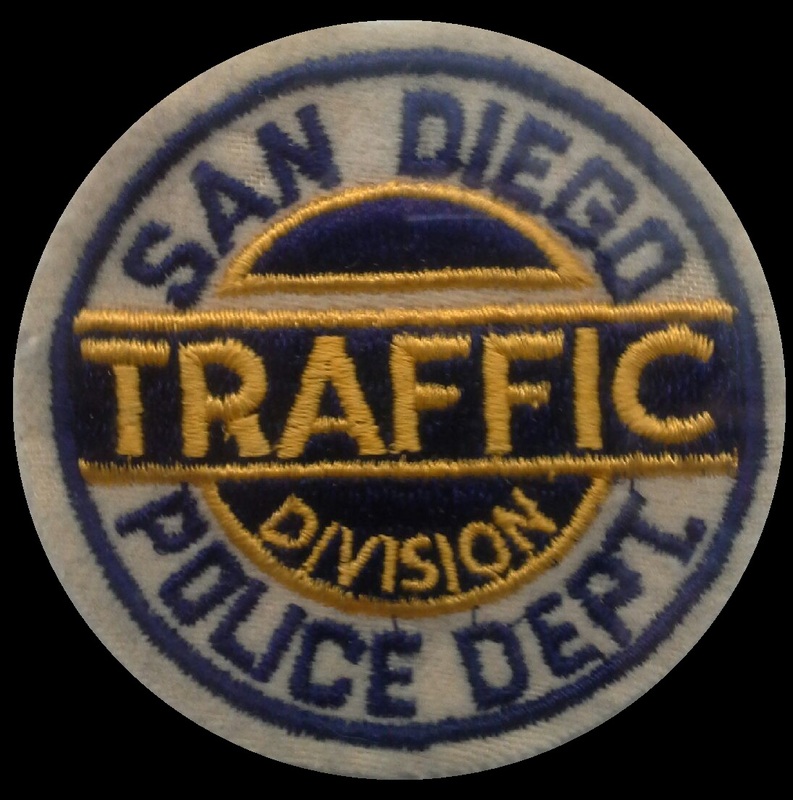 The parallel only lasted ten years due in part to Chief James Edgar Davis spending the better part of the 1930’s giving out more than 7500 “juice badges” to his supporters. 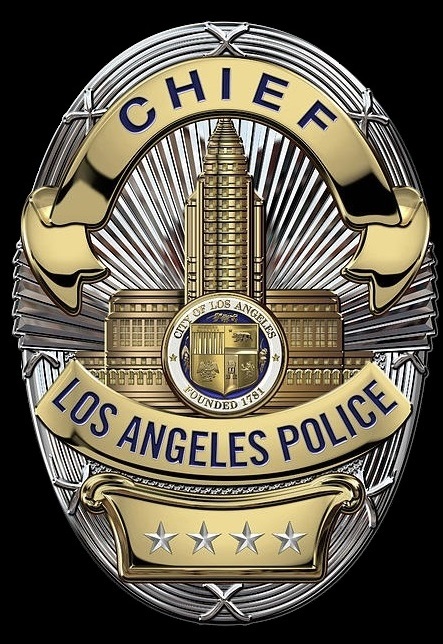 As the LAPD was a large department that did not hand out ID cards to its officers, many traffic scofflaws were let off by wary traffic officers who didn’t want to offend what could have been a ranking officer. 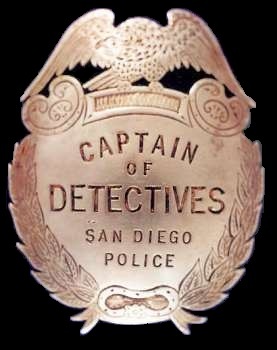 Finally, in 1940, Chief Arthur Hohmman had enough and switched to a new badge and placed a copyright on it. 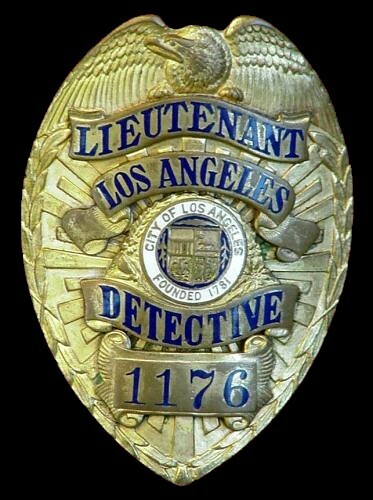 Today, juice badges, the majority of which read “Lieutenant, Los Angeles Detective”, are highly sought after collector items. 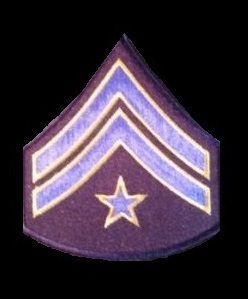 Adopted 2007. 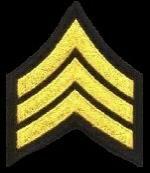 Optional. 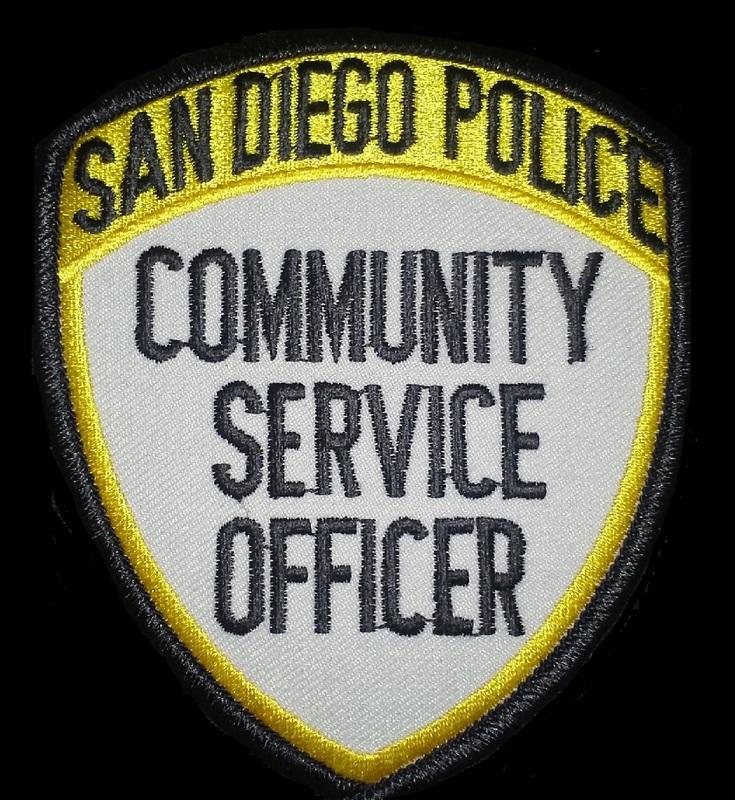 Worn only in May to commemorate SDPD's founding. 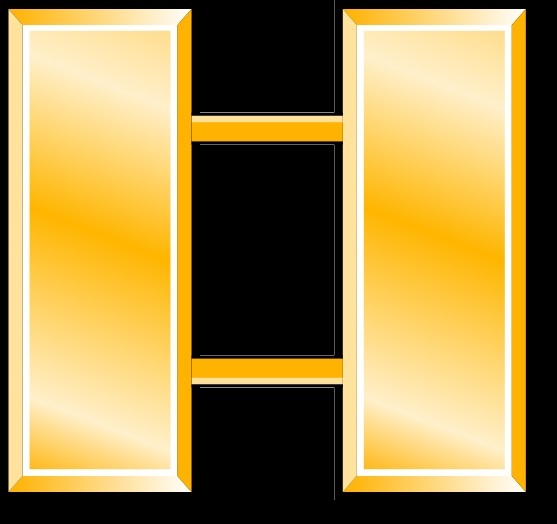 Images may be used for research purposes or personal use only. 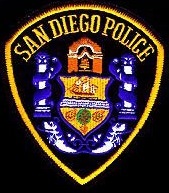 Adopted 2012. 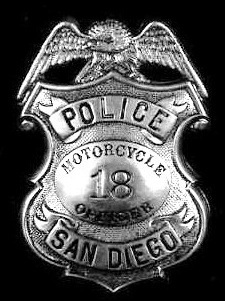 Optional. 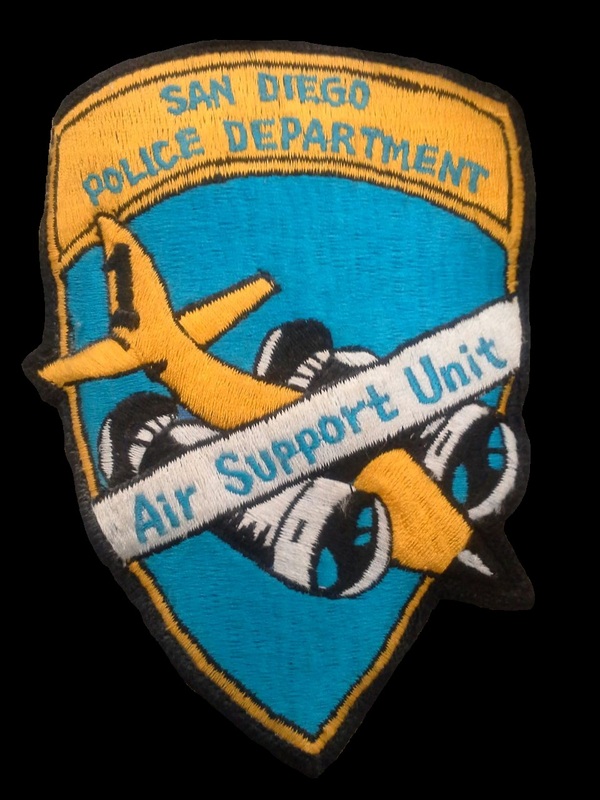 Worn only in the month of September to memoralize Sept 11, 2001. 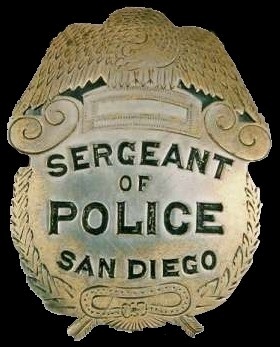 The badge is worn by hundreds of other agencies across the US during September. 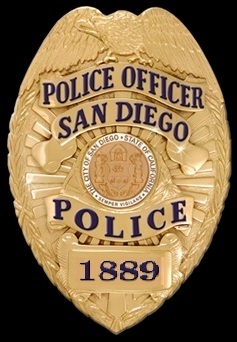 For additional info click the badge. 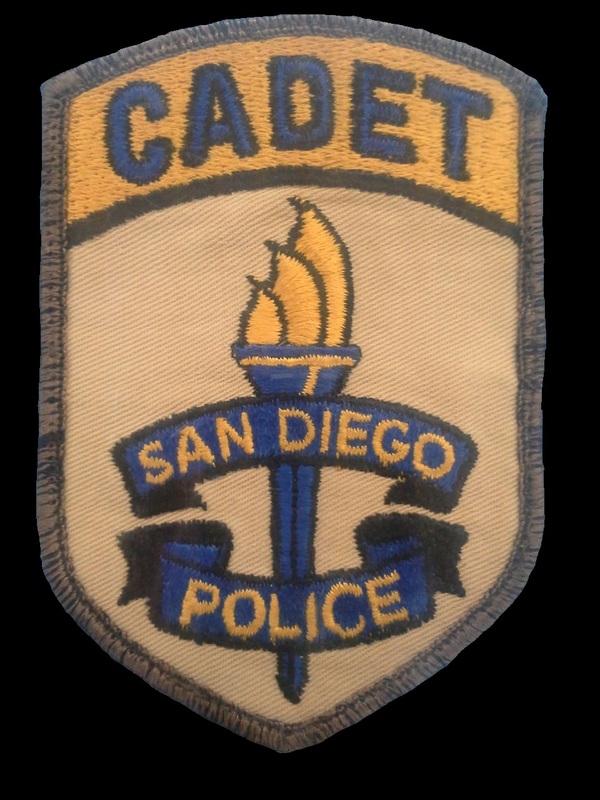 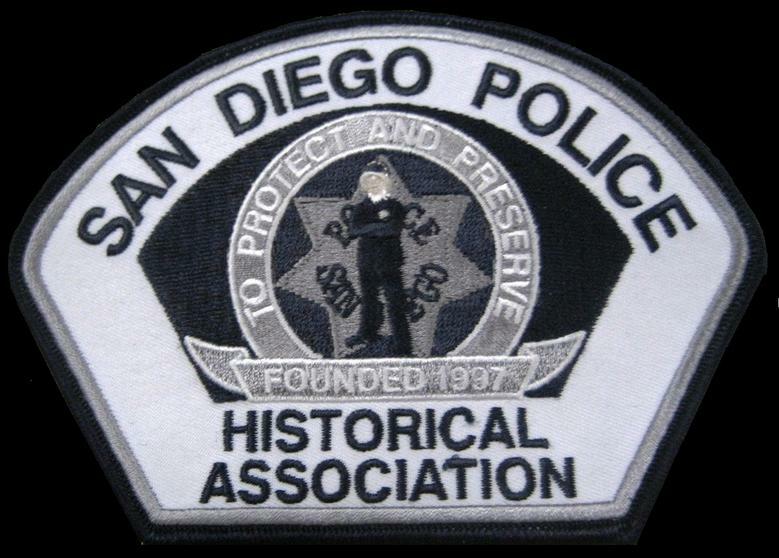 Patches were introduced on SDPD uniforms around 1913 and were specific to the assignment. 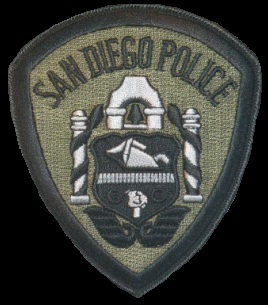 Uniformed patrol officers did not wear an agency specific patch until 1988. 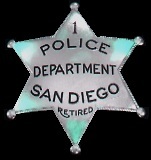 This unique star with silver wreath was custom made for SDPD's first chief, Joseph Coyne. 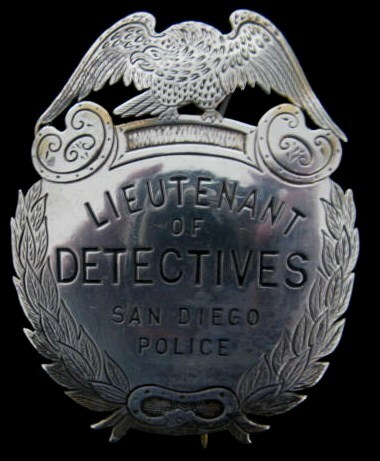 Chief Coyne was the only person to ever wear it. 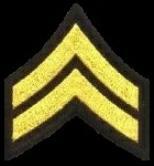 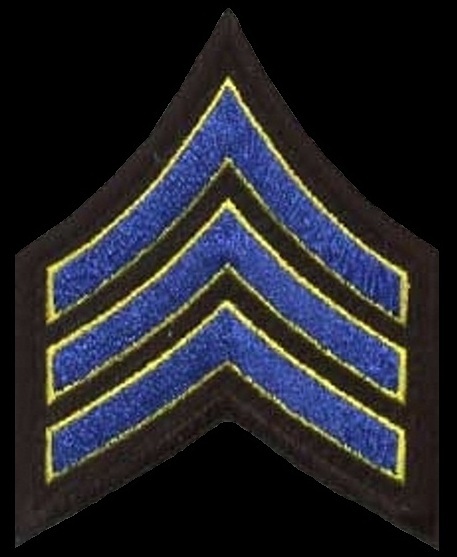 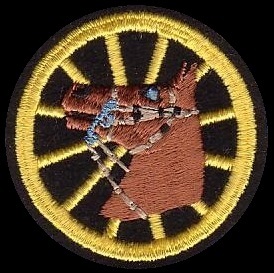 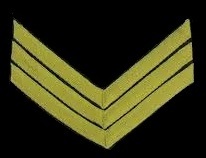 worn above the non sworn patch with the individuals specific rank. 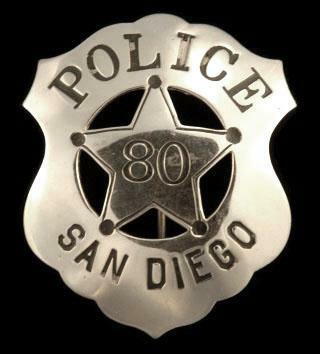 1930's to present. 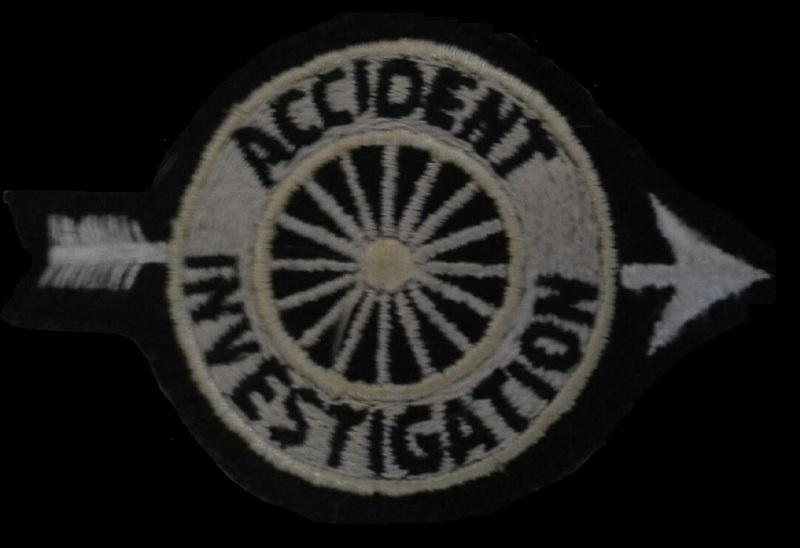 Worn by sworn & Police Service Officers assigned to Traffic Division and who have completed collision investigation training. 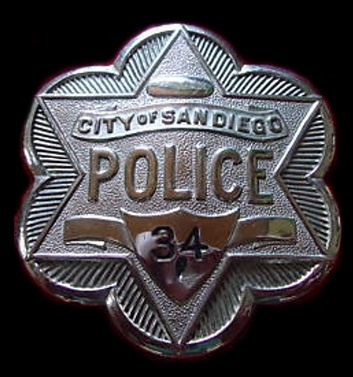 Custom badges are only sold to authorized members of the agency depicted and only at ranks at or below the rank(s) the member has held or currently holds. 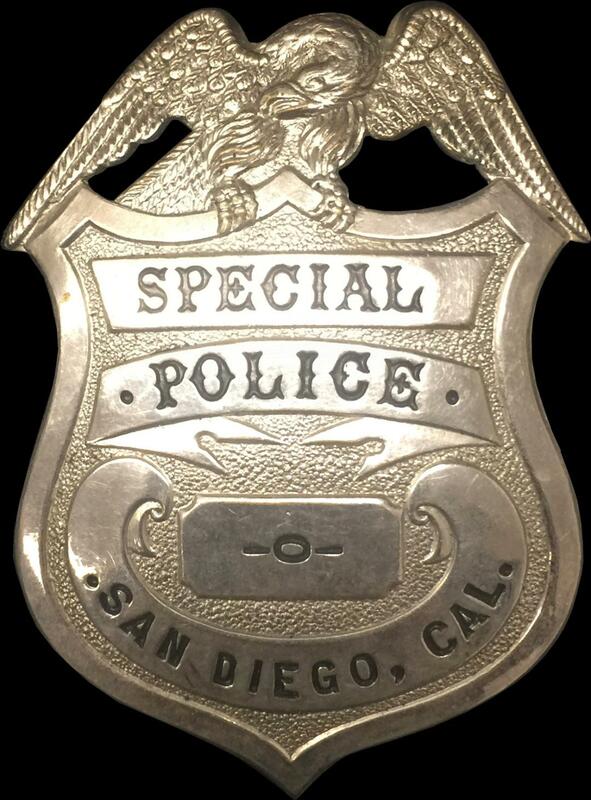 All orders must be accompanied with valid department issued ID and employment will be verified. 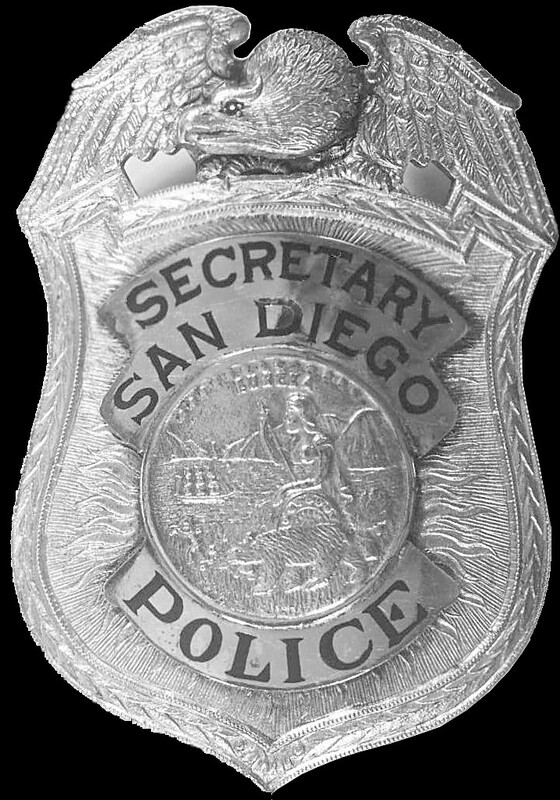 Elected officials, Councilmembers, Mayor, City Manager, in San Diego are provided a San Diego Police Department badge. 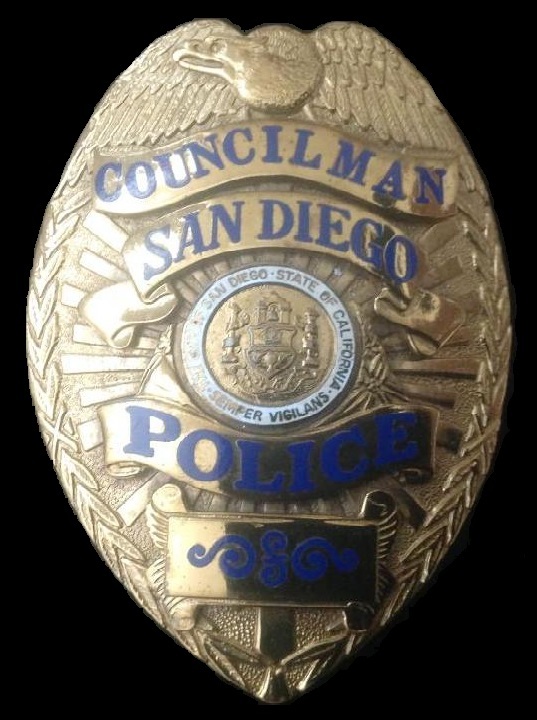 The badges serve as immediate identification at major incidents that may require their response and where the elected official isn't always immediately recognizable. 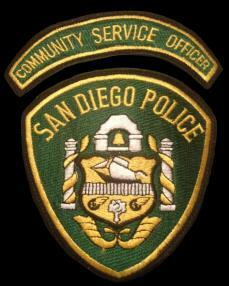 Special's have played a vital part in SDPD staffing. 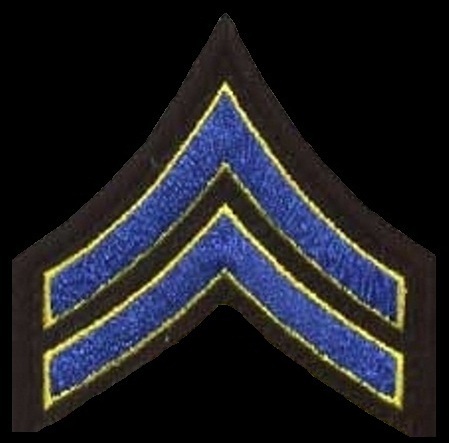 To lean how they were organized during World War II CLICK HERE.